Impact Wrestling - Chris Jericho To TNA ? Forum Description: Airs on Pop TV every Thursday night. Topic: Chris Jericho To TNA ? 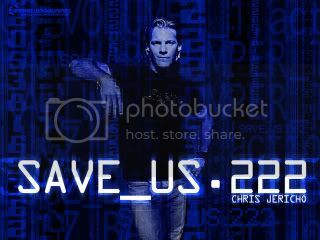 Subject: Chris Jericho To TNA ? CHRIS JERICHO AND FOZZY TO APPEAR ON "iMPACT!" BEFORE "BOUND FOR GLORY"
On Thursday, October 19, on TNA "iMPACT!" on SpikeTV at 11pm ET, Chris Jericho and his band "Fozzy" will be featured in a music video for the song "Enemy" from their "All That Remains" album. The national television debut of the video will feature Jericho and Fozzy along with the stars of TNA Wrestling just days before the "Bound For Glory" Pay-Per-View extravaganza on Sunday, October 22 live from Detroit, Michigan. TNA Wrestling directors David Sahadi and Kevin Sullivan, who have worked with Jericho in the past, will be producing the music video for the "iMPACT!" broadcast. "This is simply awesome," Sahadi told TNAwrestling.com "I have always had tremendous admiration for Chris Jericho as a professional and as a person. He's one of the coolest guys I know." Don't forget - TNA Wrestling's "iMPACT!" goes primetime on Thursday, November 16 at 9pm ET! -- Over at Chris Jericho�s website they are hyping his appearance on TNA iMPACT with his band Fozzy. People are starting to speculate that Jericho may wrestle for TNA. As of right now, nothing has been mentioned about him wrestling in TNA. Jericho�s website does have a habit of playing with the visitors where going to TNA is concerned. TNA are making alot of fuss over a music video being played. Not like he was there singing it live afterall. Jericho loves joking around at possibly going to TNA so i wouldn't think too much about it. Jericho obviously loves his music but he could make a comeback. However i reckon still that would be in WWE due to that being where he can reach more people, make more money etc. If Jericho signed for TNA it would hurt Vince more than Angle did. Jericho has stated time and time again that the only wrestling promotion that he will make a return is WWE. WWE has been his passion since his birth,practically, and always will be. Even if he has to work at McD's, he will only comeback to WWE. I'm not as convinced. Why is WWE is passion? Since when? All his best work was in WCW. Did he say he would never go to TNA? Did he say he would always come back to WWE? If that's true why's he playing his music video on TNA? Did the WWE not want to promote him? If that's true, I can't see why he wouldn't go to TNA. And if the WWE was willing to play his video then why did he choose TNA over them? I don't buy this Jericho being loyal to the WWE stuff... if he was really that keen on them he wouldn't have left. Obviously he wasn't entirely happy. Chris Jericho recently conducted an interview with Joe McDonnell out in Los Angeles last week where he addressed his current status with TNA Wrestling. In the interview, Jericho mentioned how the music video for Fozzy's "Enemy" will air this Thursday night on TNA iMPACT! on Spike TV. Jericho said he was contacted by TNA's David Sahadi to promote the song and he went with it. He reportedly laughed off rumors that he was going to TNA as a result of this move. According to Jericho, going to TNA is not an option for him right now. He stated that he is currently in Los Angeles most of the time working on projects and doing stand up comedy. Jericho added that he never said he was "retiring" from wrestling, but that he has a full plate of projects left that he wants to do. He did admit that he hasn't really thought about returning to wrestling since he has been so busy lately. Jericho stated he may return to wrestling one day, but that it would have to be the right situation and he would have to be in the 100% right state of mind. But as of now, wrestling is on the back burner for Jericho. See Jericho usually likes to plant the seeds of doubt in the fans head. However on this occasion he didn't bother doing so. Sounds very much like he's no plans anytime soon of coming back to wrestling. However i have no doubt he will one day be back wrestling regularly (hopefully through choice and not because his other careers bombed). TNA asked to play his song and he said yes. Fairly simple that and doesn't sound like he had bad intentions towards WWE for letting it happen. Simply sounds like he wanted his song promoted. However i can see WWE maybe trying to do something with Chris now to outdo TNA (i really hope so). One could look at this in a lot of different ways. Yes, TNA agreed to play the song. Jericho has already stated (although never say never) that he's only going to wrestle for the WWE, if he ever decides to wrestle. It's no secret Jericho would like to get into acting (he was in that Sci Fi movie, and he does improvs.) So, if Jericho WERE to return, one would have to assume that other incentives would have to be brought to the table, ala film and recording contracts. Astute. The surrounding media advantages of the WWE would likely bring Jericho back to a wrestling promotion before wrestling did. Chris Jericho will always remain one of my most favorite people on the planet. In a world often ruled by ego and governed by greed, he remains a sincere, genuine, humble person. On every film and promotional shoot we have collaborated on, he has always accommodating and giving, the consummate professional. More importantly, he was a joy to work with. All-night shoots weren't all that bad. In fact, when Jericho was involved, they were downright fun! The hard-working production crews always were entertained by his candor and antics. He tore down the walls of pretense and superficiality in an effort to connect with everyone on the sets. Breaking down walls seems to be something Chris Jericho does well, whether as a wrestler, an entertainer, a musician or just a benevolent being. This Monday night at 9 pm on Spike TV, TNA will air a two-hour prime time special, �This Is TNA�. During the broadcast, TNA is privileged to have another Fozzy song, �The Test�, stamp the show in a special closing music video that encompasses the unforgettable highlights of the past year in TNA. Yes, we in post-production have indeed become Fozzyholics! Q. What has Chris Jericho been doing during his self-imposed year-and-a-half sabbatical? A. I've been doing a smorgasbord of stuff actually. In the fall of '05 and the winter of '06 I did a massively successful world tour with Fozzy that took us to Australia, Germany, The US, Canada, Scotland, Wales, Ireland and five tours of England. That's right daddy, five tours of England in 13 months. We built a great fan base in the UK and we can't wait to return. Then I did a pilot for the USA Network in April called Ebaum's World that everyone at the network loved except for the boss Bonnie Hammer. Then I did a play in Toronto called �Opening Night� that sold out every show in July, Celebrity Duets in Sept which didn't go the way I planned but was still a blast! I've also been working on my memoir �A Lion's Tale� for the past 16 months and it will be completed over the next 3 weeks. I also did my XM radio show until the end of last year, as well as a dozen shows for VH-1 and Android Apocalypse for the Sci-Fi Channel which comes out on DVD next Tuesday. Most importantly, I've been spending some tremendous quality time with my family so things are good. A. It's a coming of age, stranger in a strange land story of a kid who follows and finally achieves his dream of making it big as a pro wrestler. It follows me throughout my journeys across the US, Canada, Germany, Japan, Mexico, ECW, SMW, WCW and finally ends with me signing with the WWE. Q. Tell us one of your favorite coming of age memories in the book? A. There's so many and it was a total blast to go through the time machine process of remembering all of these experiences and putting them on the page. I'm very proud of the book and I also never realized how much work it was going to be. A. Nobody can remember these stories, explain them, feel them and put them on the page like I can because I lived them. I'm also way to much of a detail and a control freak to let someone else be in charge of the writing. Having said that, I worked with a great collaborator who really helped me to organize and edit things. But 99% of what's in the book was written by me. Q. Why did you pull a Rock and leave the business of professional wrestling while you were still an athlete in his prime? A. I never said I was leaving, but after almost 1900 matches and 15 years of legit full-time wrestling with no major long-term injuries, I needed a break. I was so mentally fried that I didn't even realize how bad until I stepped back. I've only now healed enough to even be able to entertain the thought of coming back. Plus I needed to make some room to give other guys a chance to step up to the plate. Nobody can compete with Y2J, I don't care who you are. Q. Was there one particular moment in the early years that stands as a true validation for your decision to become a professional wrestler? A. Each step of my career validated my decision. All I ever wanted to do was to wrestle one match for Stampede Wrestling. When that goal was fulfilled another popped up and another and another and 15 years later I had accomplished all of them. Q. How about one of the most outrageous/funniest moments in your career? A. In the original stages of the book, I thought of almost 1,000 stories I wanted to talk about so there are way too many to mention. But you can read them all in �A Lion's Tale� available in fine bookstores near you in the fall of 07! Q. What do you value most in life right now? A. My family. My collection of rare, dried fruit. Q. What's next for Jericho? A. Onward and upward junior. Same as always. to the ring, would it be one with four sides...or six? Sounds like he starting to get that wrestling feeling again. Let remind you guys that when he does come back and wrestle for TNA. l will be changing my name to Chris "TNA" Jericho or what ever he chooses. WWE has had recent talks with Chris Jericho about returning to the promotion this September. If a deal is reached, at this point there is talk of him being placed on the RAW brand. TNA President Dixie Carter is also pursuing him. Jericho's band "Fozzy" has been featured on several TNA shows since he left WWE. On TNA start a feud with Christian. l figure and the way l see it right now. lf Jericho had any intention of returning to WWE. l believe he would of made that clear by now. Him playing his Fozzy music on TNA tells us that he is leaning towards them. i think your too obsessed with Jericho mate, lol, anyway I actually believe Jericho should go to TNA, theres nothing left for him to do in WWE anymore, he's basically done it all there anyway and him heading to TNA would be the best move cos it means less travel, new oppotunitys and more chance to spend with his family as he lives in Florida. Jericho has won every title in the WWE as it is and like I said, what else can he do there? There is nothing more for Y2J to do in the WWE, best place for him to go now would be to TNA because atleast he can have a chance at making history and become the first wrestler to win the WWE, WCW and NWA World titles (oh wait, Ric Flair has already done that). In all, Jericho has the choice of getting TNA of the ground because he will certainly bring in more fans than the sook that is Kurt Angle or he can go back to just being a mid-card to the top tier stars. I would rather carry on winning recognised champions for the biggest wrestling company in the world. Than start to win titles for a company way behind at the moment in history and size. Plus why do people assume moving to TNA will mean titles for him? Kurt hasn't won one yet and he's achieved a hell of a lot next to Jericho. He doesn't need a title to look good, so would be used to put over others like Samoa Joe, Christopher Daniels etc. As for your point about winning the NWA title well they are giving up the name so he would be going after a title with no history when he can be going after one with decade upon decades of history. There is more for Jericho to do in TNA than there is in WWE, like they have said they will try and move him to Raw, how many times do we have to see him face Triple H? Edge? John Cena? Shawn Michaels? If he goes to TNA, he will have more challenges and he could actually help put them on the map some more, he is the big name that TNA need cos Angle and Sting havent delivered nor as Scott Steiner. Chris Jericho going to TNA could actually help TNA improve in the ratings and the buy rates. Imagine, Jericho vs Sting, Jericho vs Styles, Jericho vs Daniels, Jericho vs anyone on TNA, seriously Jericho needs a new fresh breathe of air in a new environment and going to TNA wont hurt him going back to WWE instead Jericho and McMahon could make an agreement that if it doesnt work out he could always go back. More to do only because he's not been there. But would you work for a much smaller company than your use to just so you had more to do? If TNA was big enough to deserve his star power i would have agreed. He doesn't have to face them though. We can see him have new fueds with CM Punk, Cor Von, Kennedy, Undertaker etc. Now i am trying to imagine the TNA fueds you say. But Sting is past it and neither Styles or Daniels are the main eventer opponent Chris needs. Chris Jericho now that l think of it. l believe he would be better off going back to WWE then go off to TNA. Well, when September rolls around we will see what happens. It is rumored that Y2J has a part time contract on RAW. I'm not sure when it starts, but is similar to Mick Foleys cameo contract. Dont expect him to be pushed for any titles though. WWE has made attempts to get into contact with Chris Jericho about a possible return. Based on what is known at this time, Jericho was said to have been really turned off by the current McMahon angle and reportedly doesn't want to be associated with WWE at this time. Many expect Jericho to make a wrestling return within the next year or two and TNA is definitely not out of the question. This came from tnawrestlingnews.com and you can tell with the wording. Even if Chris doesn't like this current Mcmahon storyline, is that going to stop him signing back up? No because there's always going to be something you're not happy about and if someone stopped doing something everytime they didn't like something, well nothing would ever get done. Plus anyway chances are he's not happy with something in TNA as well and the pro TNA dirt sheet didn't want to disclose this. Chris isn't doing bad outside wrestling and so he's no reason to ever come back to it unless it's the bigtime scene like Raw. He's in no rush to return. He's got plenty of other things keeping him busy away from the ring. I don't think he's the only one not liking the McMahon angle. It'd be great to see him go to TNA but... like I said, he's in no rush to return so I don't expect it to happen any time soon. well theres been a few interviews, some segesting that he would love to come back to the wwe, where he became who he is, in the wrestling world of course, but there were also some a while back where he said that the four sided ring could never contain all of jericho, so i think he is loving the fact that both companies want him, and that he will chose depending on what they offer, other then money. 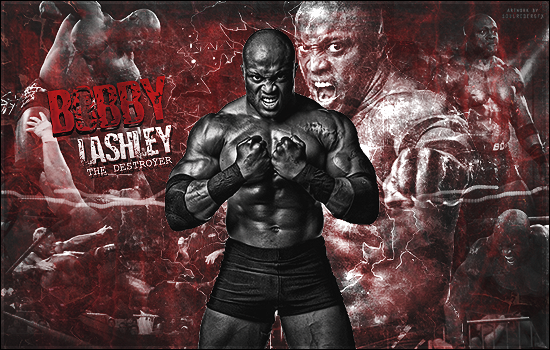 i hope he goes to tna, cause i can see some great matches between him and the tna talent roster. whereas the wwe will probally just rush him into a world championship, probally getting payback on cena for owning him and making him aperently quit in that lame storyline back when cena was getting pushed as a main eventer, but not as some sort of god. Jericho is a smart person. Money does not factor into his current agenda, if it did, he would have been wrestling in WWE again already. Considering he has friends in TNA, the schedule allows for extra activities (such as bands, television and movies), and the simple fact that he wants something different to do and/or wants to make a big splash when he returns to the ring, i really see him choosing TNA over WWE. While i won't bet on it, it could happen, and theres a lot of reasons why it probably will happen. If Jericho needed money, then he�d be back with the WWE in a heartbeat. If he was serious about returning full-time, then he�d probably sign with the WWE as they are the biggest outfit around. But he is just looking to scratch that itch, TNA would make for a fine stop to visit. I find it unlikely that Jericho is gonna join TNA (he and WWE still have a good realtionship and he left on good terms), but he could do okay in TNA (it would be nice to see him feud with the likes of Angle and Rhyno). Today's Baltimore Sun has a lengthy interview up with Chris Jericho. Jericho says he is returning to wrestling and will be returning to a full time schedule. He didn't mention whether it will be TNA or WWE. He did say he's happy when TNA mentions his name on their broadcasts. Jericho also spoke on doing his comedy, a play in Toronto and writing his new book. well thats good news, i cant wait till he returns to in ring action, either in tna or in wwe, though id prefer tna cause he could have great matches with the talent there, and be a great world aswell as x division champion. i could even see him with the tag titles, with someone like aj, chris daniels, senshi or even somoea joe. TNA was hoping to get Chris Jericho to make a surprise debut at the first two-hour Impact show. They were in serious talks with him, but couldn't get a deal done. Their belief is that Jericho is going to WWE. yeah, i am sure jericho was really thinking about taking the lighter scedule and being able to compete with the young and great talent that tna has, like aj and somoea joe. an ironman match againest somoea joe would be awesome! but in the end i guess he would feel more at home with raw and would get paid more aswell as more press and fame. Y2J would want the company that could do the most for his side projects as well. The WWE has become a multimedia empire and I wouldn't be shocked to see a WWE Films movie starring the Ayatollah of Rocknrolla himself. TNA just doesn't have the opportunity to spread Y2J around as WWE does. -- Last week we made mention about TNA's offer to Chris Jericho, with him calling it cheap. He didn't mean the company was cheap, instead he meant they didn't break the bank to pay him and offer him an outrageous unable to turn down offer. wtf? does he think they have enough money to do that? especailly with all the money they paid pacman, then they got booker, i mean what did he expect. besides i thought he said the reason he is coming back is because of his love for wrestling, not the paycheck? Chris Jericho was featured in an interview in today’s Winnipeg Sun. In it, Jericho says that he never even considered TNA. The exact quote: "I have respect for them (TNA) starting up and existing this long. But for me my dream was always to work in the WWE. It took nine long years to get there and, creatively, I left on very good terms. I had no axe to grind with Vince (McMahon) and no agenda. Unless he told me to go to hell, there was no chance I'd go to TNA." How true do people actually think this is? I happen to believe that he would have genuinely been thinking about joining TNA and his interviews gave that impression as well. Of course now he's signed for WWE, he's going to say he was never interested in going to the main competition. He's not going to be silly and risk his place on the card. Now he's due back on a full time schedule anytime, he's no longer going to have proper time for his band. That is one of the things TNA will have gave him. I think it is very true. TNA was never an option for Chris. His dream was always to be in WWE he left of good terms. If he had said yeah it was an option people would be mad because of that. No matter what the wrestlers or Vince does they are damned either way. If they do what everyone ones people still complain, sorry if I am a little defense, but I am just so tired of people whining when things are what they think they should be and accuse people of lying in interview when they know nothing about the person being interviewed. Well, from reports i've read over the past few months, if WWE hadn't shown interest he would have jumped on the TNA bandwaggon without a second thought. Though if he had admitted he had considered it WWE would be peeved. Dave Meltzer reported in the latest edition of the https://www.ewrestlingnews.com/tag/wrestling-observer-newsletter" rel="nofollow - Wrestling Observer Newsletter that the belief within the business is that https://www.ewrestlingnews.com/tag/chris-jericho" rel="nofollow - Chris Jericho is destined to eventually come to https://www.ewrestlingnews.com/tag/impact-wrestling" rel="nofollow - Impact Wrestling . It was noted in this report that the IWGP Champion’s previous statements about not wanting to do anything that would get WWE Chairman https://www.ewrestlingnews.com/tag/vince-mcmahon" rel="nofollow - Vince McMahon mad isn’t nearly as strong as it was months ago.